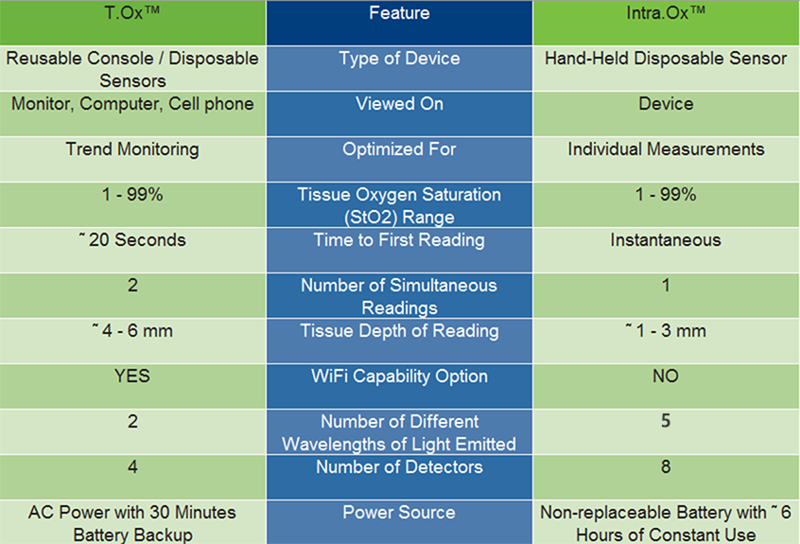 "FDA Cleared" "Available in 2019"
Intra.Ox is a hand-held, disposable sensor that provides surgeons with real-time, non-invasive tissue perfusion assessments in three ways — pre-op base line assessment, intra-operative mapping and post-op ICU monitoring. 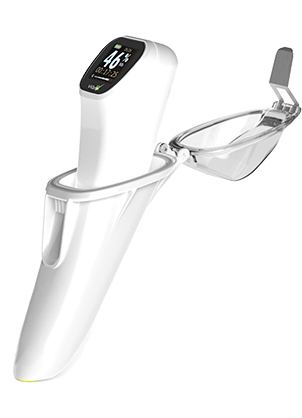 This next generation device provides clinicians the ability to take instantaneous readings throughout the surgery without increasing time in the O.R. It helps facilitate faster intraoperative decisions to improve surgical outcomes and patient satisfaction. The introduction of Intra.Ox, paired with T.Ox, which monitors tissues after surgery, allows ViOptix to provide a comprehensive solution that enables clinicians to safeguard patients throughout the entire hospital stay.